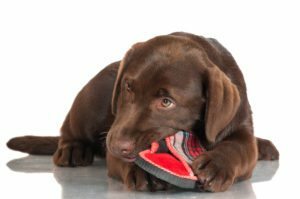 Your pet’s behaving badly, tearing up the furniture or chewing your shoes. You don’t know why. He has food, shelter, a warm bed and plenty of love. But how often do you play with your dog or cat? Are they simply ‘there’; part of the household that is fed and offered shelter but otherwise ignored. 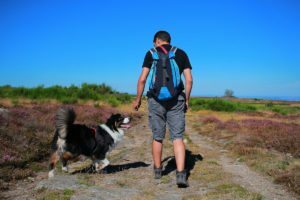 Pets don’t only need physical exercise, they need emotional exercise too. It’s a sad fact: zoos often do a better job for captive wildlife than most pet owners do with our companion dogs and cats. To prevent behavioural problems and obesity, pets need stimulation and an enriching environment. Supply scratching posts, elevated spots for cats to climb and litterboxes if your cat can’t get outside. Cats love to climb and explore and if there aren’t trees, fences or poles where they live, you need to provide them. Provide plenty of toys (they don’t need to be expensive). For cats, cut the bottoms out of paper bags, tape them together and you have a tunnel; make several holes in a cardboard box; attached a bunch of feathers to a piece of rope. For dogs, collect old tennis balls from your local tennis club and play ‘fetch’; hide his favourite toys/treats in the garden and encourage him to find them. Remember that bored pets become destructive pets. Leave only a few toys out at a time, and rotate them every couple of days. Pets get bored with the same old toys. Pop into your nearest EberVet Vetshop and check out the wide selection of dog and cat toys on offer. Make games with your pets, fun for humans too. Children love nothing more than a treasure hunt. Hide the kids’ and dogs’ treats together and let the hunt begin! Encourage your kids to play Frisbee with the dog or run with a catnip-stuffed mouse attached to a string. Walk the dog. The most overlooked enrichment for dogs is a walk. Letting the dog out into the yard isn’t the same as going for a walk. Dogs in yards get bored and can develop reactive behavioural problems. Everyone’s encountered the dogs that rush the fence barking and give you a heart attack every time you walk by. Info sourced from Dr John Ciribassi, animal behaviourist, via DVMNews.